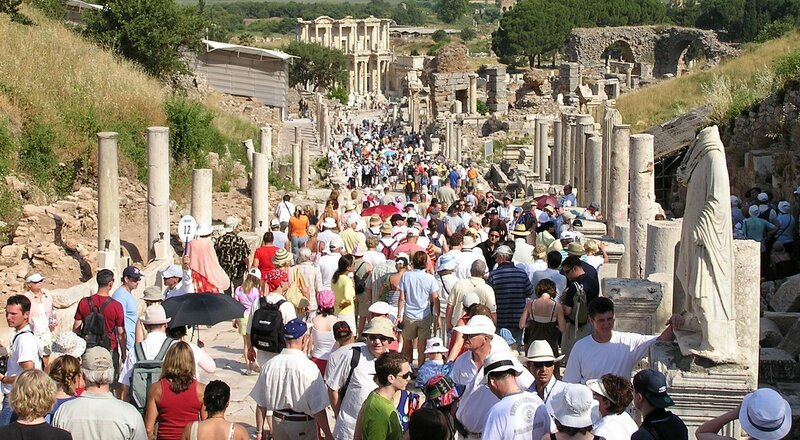 Another stop on our cruise was Kusadasi, Turkey, where we visited the Roman ruins at Ephesus. As we walked down the marble-paved Curetes Street to the Library of Celsus, we looked at the sidewalks decorated with mosaics and the remains of old buildings. Only the façade of the library is still standing. It was one of the largest in the ancient world, with almost 12,000 scrolls of papyrus manuscripts. We also walked to the Grand Theater where St. Paul preached to the Ephesians. Our tour guide shared interesting stories about the economic realities of the time and how it affected the reception of St. Paul. It was very crowded at the site, especially walking down Curetes Street, but it gave us a good feeling for what it would have been like to live there, in a highly populated Roman city. Legend has it that St. John the Evangelist went to Ephesus with the Virgin Mary after the crucifixion of Jesus Christ. 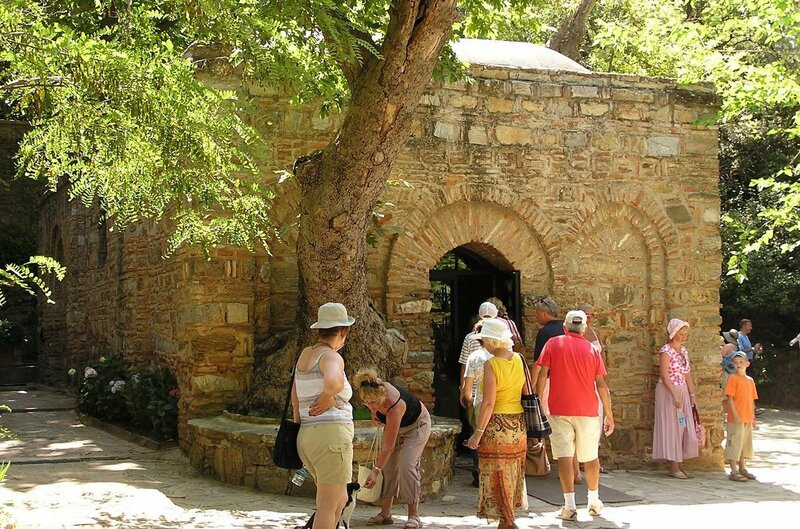 Near the ruins of Ephesus is a house believed to be where the Virgin Mary lived at the end of her life. After Ephesus, we visited the site. The shrine is popular for Christian and Muslim pilgrims. 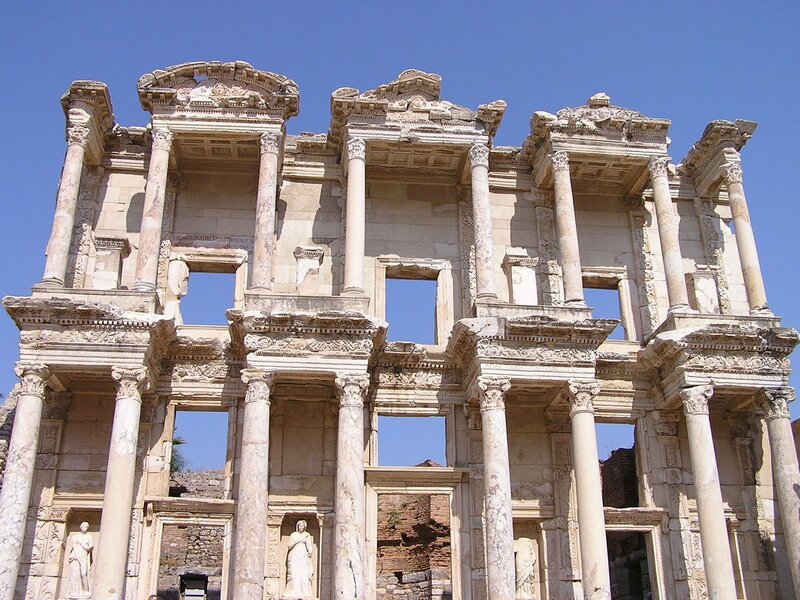 If you are lucky enough to visit Ephesus, I would definitely include a stop at the House of the Virgin Mary. For more pictures from Turkey, you can watch my slideshow on YouTube.